What a great lesson — and I love the culturally-specific “Love without Locks” aspect. Thanks, Skylar! A lot of the kids were already familiar with the tradition and were quite disappointed to find out that they wouldn’t be able to hang their own lock when they’re in Paris some day. I think my students will enjoy watching the video that you found. I teach IB French and really like talking about social media with students and the potential problems/dangers. I have a guide for parents and how to deal with their teen having a cell phone along with a worksheet. I would like to share it with you, but I don’t have your email. Thank you so much for your generous offer, Jessica. I’d love to have a copy of your materials. My email is lisamichele_shepard@hotmail.com. Merci! Bonjour! I came across your Selfie/Social Media unit a while ago and am so grateful for all of the resources and thoughts you’ve shared as I work to develop my own version of this! One small question: I wondering if you might have the youtube video you found of the girl explaining how to take a selfie saved somewhere else. I am unable to access it via the link within your doc and have searched youtube for something else that might work but haven’t found anything decent. If you have it and could post the new link to it (if there is one!) that would be amazing. I know my students would love a silly ‘how to’ video as well. 🙂 Merci mille fois! Have you ever tried embedding a you tube video into powerpoint? That’s what I usually do in order to save videos that I like. I’m not sure if I’d still have them if the video was taken off of you tube, but it’s worth a try. Love the selfie unit! I think it will be a great thing to do at the beginning of the school year! I use Save Media to download all the YouTube videos I use in my French Immersion class. Thank you for posting a link to your document. Your lessons are great! This video, Le selfie pour les NULS, would work well, just change up the questions. Shera’s hair alone will keep viewers interested, and her tips for taking selfies are easy enough to follow. Bonjour from Australia. I love this unit on selfies. I am going to teach a unit on La Culture Pop after our Easter holidays and this will complement it perfectly. Thank you so much for sharing your work. In one of the previous comments you mention finding a way to save youtube videos. I don’t know if this will help but I use Realplayer which allows you to download and modify the video to different formats. You could also use Keepvid as well. This is such a fabulous lesson! I teach Spanish, and so I’ll have to change parts of it, but I love the concept, and I know my students will enjoy it, as well. Thanks! Hi there, just a minor comment that came to mind while looking at your lovely unit: a selfie in french is referred to as an « autoportrait », thereby making the word selfie an anglicism. Bonjour et merci beaucoup Madame pour votre lesson sur les selfies. I found your blog thanks to AATF and will be using it with my AP class as an intro to “la quête de soi”. I decided to start with that theme this year and was looking for a fun introduction to AP. At the same time, we will discuss the interconnection of themes in AP. Thank you for sharing, it is very kind of you. Thanks so much for your kind comment and I’m so glad you found something useful here. Another mini-unit that I have shared for this AP theme is found here: http://madameshepard.com/?p=987. Although I linked it to the sexuality sub-theme, the lessons are centered around gender roles, not sexual behavior (I think the title scared some people away!) The students really enjoyed the discussions we had during this unit. Good luck and keep in touch! I love the unit. However, one of the videos is no longer available. Is it available somewhere else? Hi, Cathy. I’m sorry about this. I haven’t used this unit recently, so it needs some updating. In the meantime, I’ve noted in the post that the video is unavailable for future readers. I don’t really know where else the video might be available, although I would imagine that there may be several similar ones YouTube. I wish I could be more helpful! I can’t say “merci” enough to you for the fantastic resources you provide. Le monde des profs de français is beyond enriched. And your blog has saved my bacon on more than one occasion when in a crunch for resources and ideas! One thing that would help is to know how long your class periods last — I seem to recall you changed schools recently and that may have changed things. When trying to plan using your materials I have a hard time knowing if “5 days” for you will be roughly “5 days” for me. Are you on a block schedule? etc. Merci d’avance! In my current school I have 3 48- minute periods and 1 90- minute block per week. I usually add a song and Free Voluntary reading to my plan on block days rather than doing 2 lessons. Since I usually post my units before I use them, I don’t know for sure how long each lesson will take. I modify as I go along and sometimes end up omitting some of my planned activities. I ALWAYS over plan! ( By design). Thanks for your kind words! I’m an esl teacher working on selfies too, and I was looking to find new ideas to improve my lesson plan. Thanks for the ideas !! 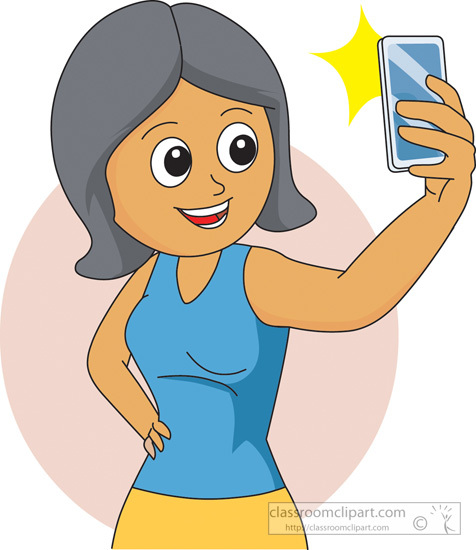 Here’s a brand new resource from francetv about “le selfie” that includes a video and a transcript.